MARK SCHKLAR (CRD#: 1952816), a former broker with BB&T Securities of Richmond, Virginia, was fined $10,000 by FINRA, and suspended from the industry for eight months beginning 3/20/2017, and ending 11/19/2017. This allegedly took place from February of 2013 to January of 2015 while MARK SCHKLAR was with BB&T Securities, according to FINRA. FINRA’s findings stated that MARK SCHKLAR facilitated the sale of 8,000,000 shares of the company to four investors for the total proceeds of $285,250. According to FINRA, MARK SCHKLAR allegedly loaned $80,000 to a client without notifying or obtaining approval from his firm. Also, when Schklar completed an annual compliance questionnaire for his firm, he answered “no” to the question asking whether he had borrowed or lent money to a client. According to FINRA’s BrokerCheck, which is available to the public on FINRA’s website, MARK SCHKLAR,has 7 Disclosures on his report. Of the 7 Disclosures, 5 are “Customer Disputes.” For example, in November of 2014, there were allegations of, “Customer alleged fiduciary breach, negligence and recklessness. Violation of the Tennessee Securities Act, and misrepresentation and fraud, all in connection with investments made in their account between November 2005 and October 2010.” The settlement amount was $220,000.00. 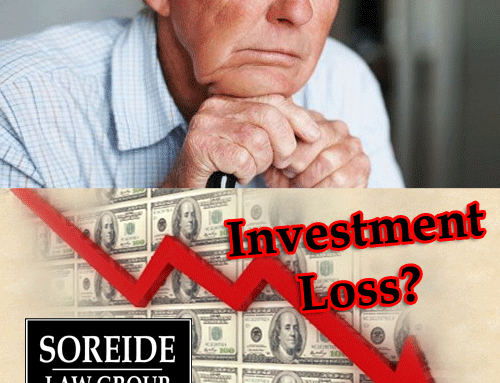 If you’ve suffered losses due to the actions or recommendations of former BB&T SECURITIES, LLC of RICHMOND, VA, broker, MARK SCHKLAR, contact Soreide Law Group and speak to an experienced securities lawyer at no cost regarding the possible recovery of your investment losses through a FINRA arbitration: 888-760-6552. 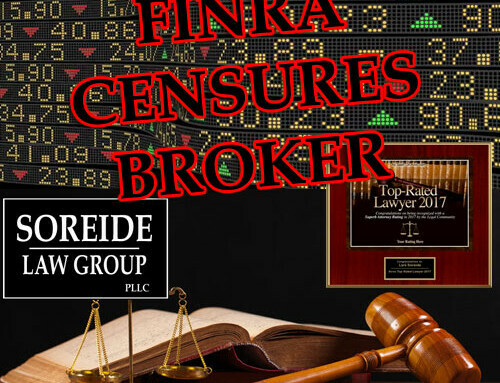 Soreide Law Group works on a contingency fee and represents our clients nationwide before FINRA.